Referred to fondly as the “Garden City”, Victoria has Canada’s mildest climate and is the capital of the province of British Columbia. This compact, postcard-perfect city is home to some of Canada’s finest Victorian-era architecture, from the copper-domed Parliament Buildings to the gorgeous Fairmont Empress hotel. Although settled originally by the First Nations peoples, the city was “founded” in 1843 by James Douglas on behalf of the British Crown and given its current name in honour of the reigning monarch, Queen Victoria. The Gold Rush swelled Victoria into a lively port, and in a sinister turn of events, the port also served as North America’s largest harbour for opium in the late 19th century. Victoria is a quirky city built on some of the oldest recorded histories of Western Canada, and its unique mix of quaint eccentricity makes it an irresistible tourist destination. 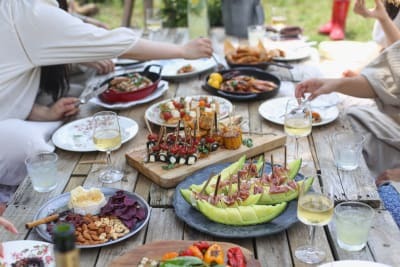 An enterprise in the best sense of the word, 10 Acres owns and operates three different restaurant concepts using supplies from its own organic farm on the Saanich Peninsula of Vancouver Island. 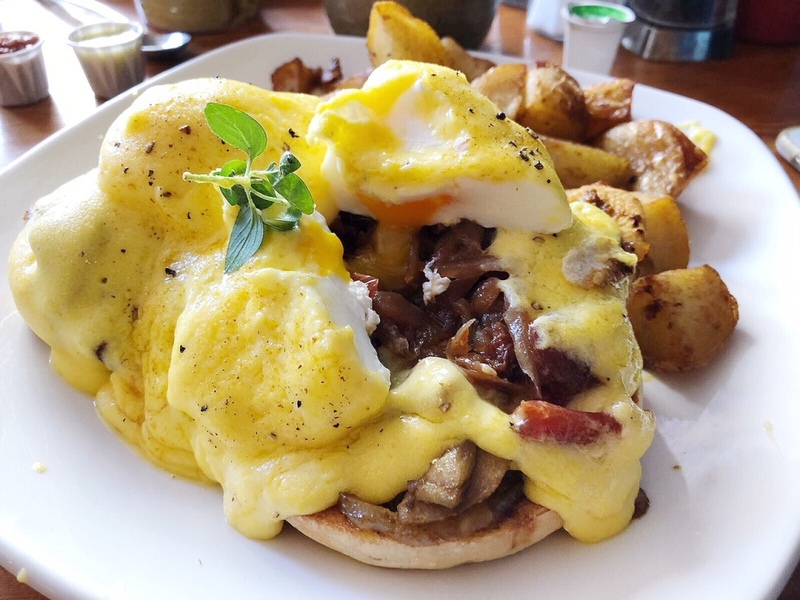 Located just 25 kilometres from its downtown restaurants, the farm offers a bevy of sustainable, ethically raised crops and livestock year-round, and the restaurants proudly display the produce that is in season. The Bistro offers brunchy, casual eats, while The Commons transforms into a bar come sundown. The Kitchen is on the swishest side of the spectrum, with a fine-dining menu that gets first dibs on all the daily produce. There’s nothing inconspicuous about this quirky little café thanks to the massive queue at its door at any given time of the day. Open only for breakfast and lunch, the unique flavours paired with good, ol’ home cooking have given Blue Fox Café an almost cult-like following. The Moroccan chicken eggs Benedict, laced with spices and sweet caramelised onion, was a sight to behold, and we were obsessed with the velvet creaminess of the butter chicken eggs Benny. Do yourself a favour and make a reservation here, because this place is always packed. This may be hard to imagine in the somewhat sleepy town of Victoria, but this local Italian favourite is always buzzing. Exposed brick walls and cosy stone fireplaces give the restaurant plenty of atmosphere, while the hearty pasta portions will fill your belly. 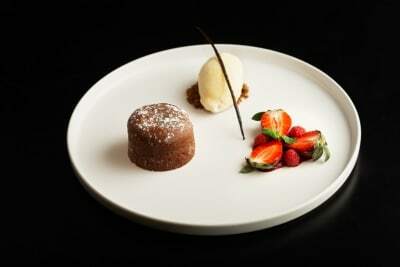 The food here is good, although not outstanding, but we love the jovial vibe. If the walls could talk, they’d be spilling many tales set in this place. Entering this much-loved diner feels like stepping inside the den of someone’s well-lived life. 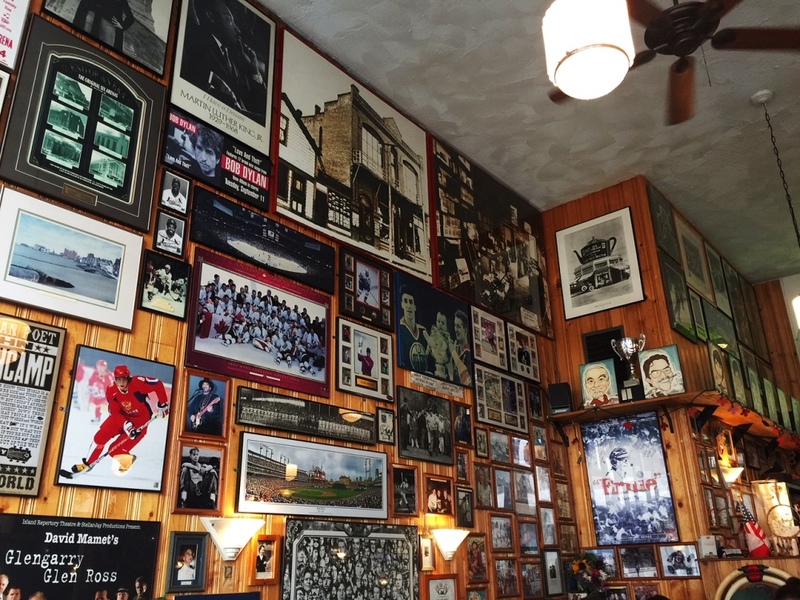 The wood-planked walls are covered floor to ceiling with signed film and sport memorabilia, old newspaper clippings and photographs. The owner, John, drove here from his home in California and bet his last dollar on the eatery. Today, John’s Place is an institution, where everything is still made from scratch. Make sure to try the crispy cornbread. “This couldn’t possibly be it!” we exclaimed as Google Maps directed us to one of the narrowest alleyways in Victoria’s historic Chinatown, but, lo and behold, we walked into a steady vein of earnest ice-cream goers all eager to lick up one of Kid Sister’s made-from-scratch creations. Open only in the spring and summer months, this small ice-cream shop whips up eight daily flavours, but by midway through the day, around half are already sold out. Made with quality, organic, locally sourced, sustainable ingredients, Kid Sister is a walking billboard of what Victoria’s dining scene strives for. We couldn’t get enough of the salted caramel and chocolate fudge ripple flavours. 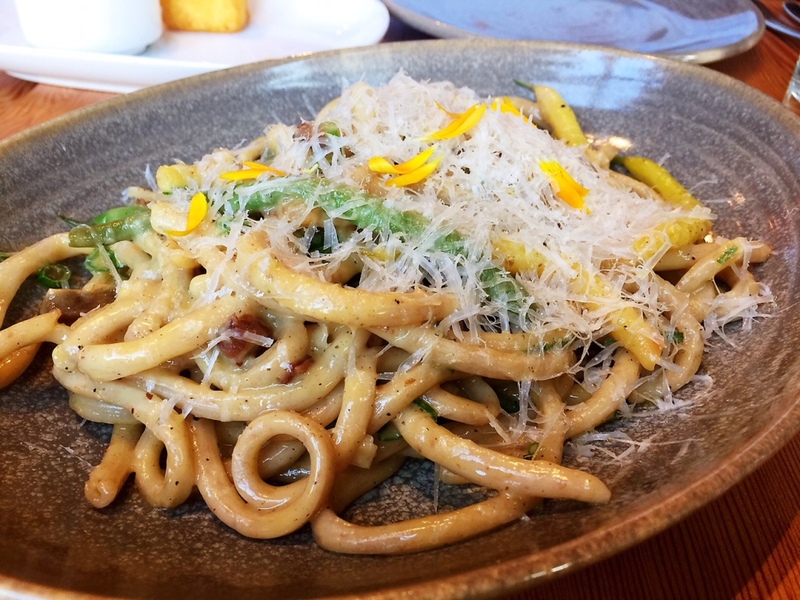 A dressed-down reinvention of popular fine-dining restaurant Ulla, OLO, which means “hungry” in Chinook, serves up some of the best meals in town while still showing some of its fine-dining roots. The puffed beef tendon, which looked like simple bar food, disappeared with airy lightness and left a velvety, luscious finish. This is this type of finesse that hints at more refined cooking. The duck breast with beet and cherry jus was succulent and tender, and the beef short rib melted in the mouth. Offbeat but genius pairings like halibut-filled ravioli with fennel sauce keep diners on their toes. Healthy eating served with a side of kitsch, this cheerful, quirky diner has been fronting the wholesome-eating trend since 1988. 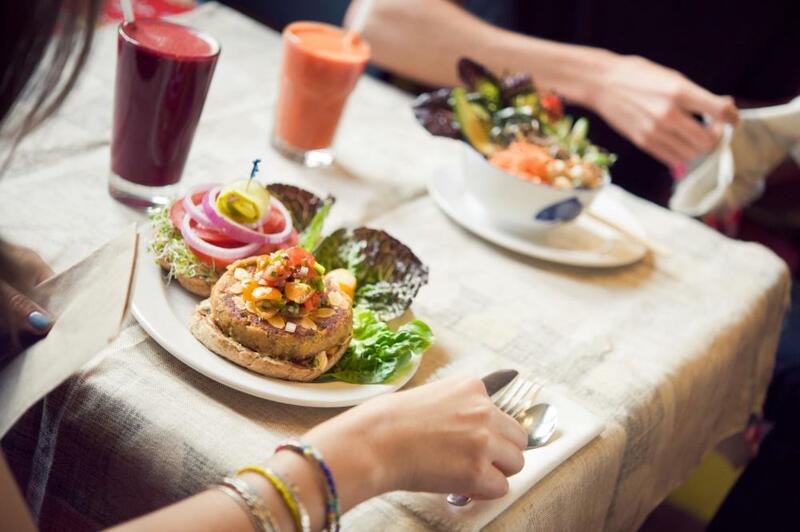 A juice bar as well as a full-fledged restaurant, the menu is predominantly vegetarian and focuses on sourcing ingredients from quality local growers. You’ll find all the hippy goodies here, such as almond burgers and tempeh, although we were also pretty satisfied with the blackened rockfish tacos. The magnificent neo-baroque architecture that is the British Columbia Parliament Buildings houses the Legislative Assembly of the province. 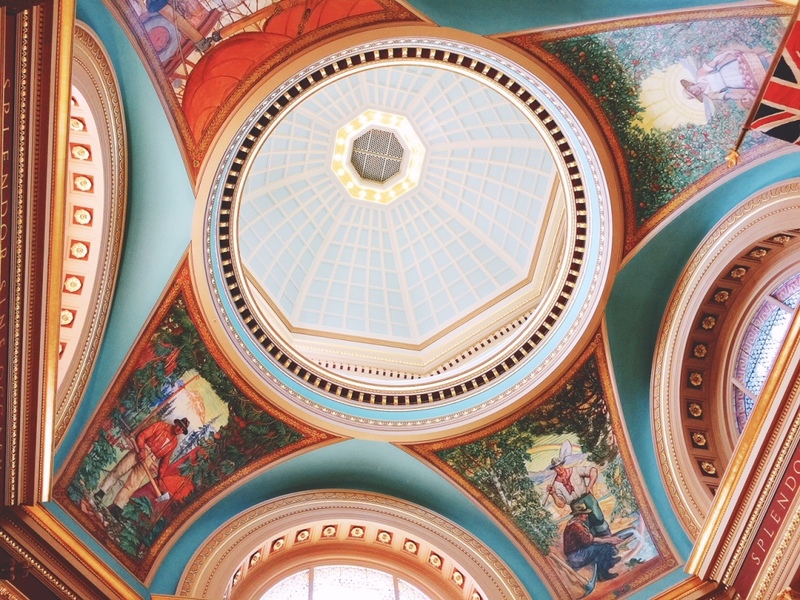 Walk through the beautiful government buildings and learn about BC’s historical past with a free guided tour. The jewel of Victoria, the Fairmont Empress hotel underwent a $60 million renovation in 2017. Sip from their menu of 21 loose-leaf teas as part of the iconic Empress afternoon tea, a tradition that began in 1908, and revel in all things British. 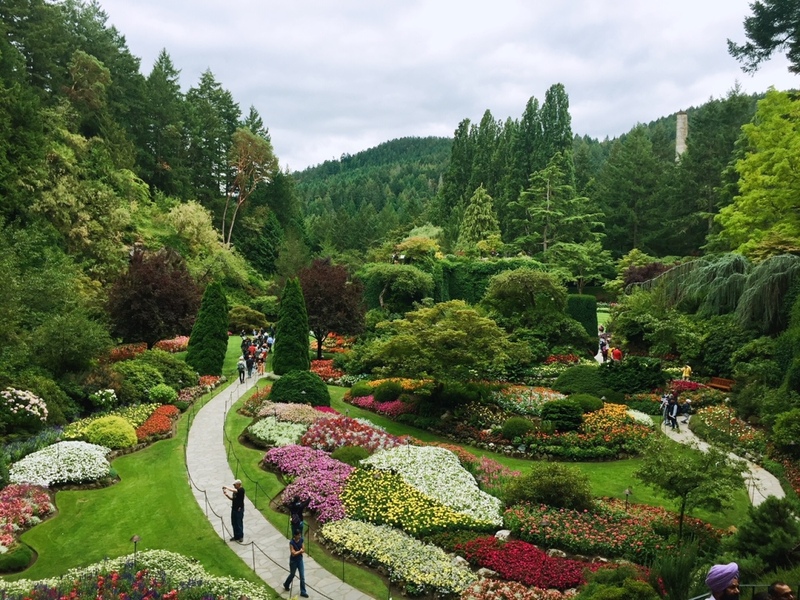 Perhaps the prettiest converted rock quarry in the world, the various gardens throughout the 55 acres of The Butchart Gardens have been in bloom for over 100 years. Now a National Historic Site, Craigdarroch Castle was commissioned by coal baron Robert Dunsmuir during Queen Victoria’s reign. Once the richest family in all of western North America, the Victorian splendour of the castle is a fantastic example of a “bonanza castle”, built on new money during the turn of the last century. 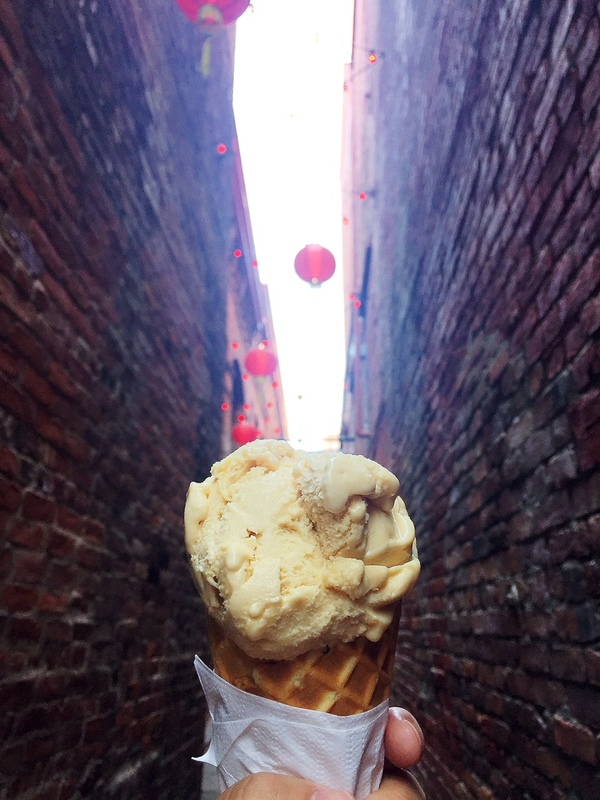 Do a ghost tour in Canada’s oldest Chinatown and check out the artisanal shops in narrow Fan Tan Alley – the narrowest street in all of Canada. The streets still hold secret entrances to opium dens of a bygone era. Converted from an old bank into a bookshop in 1963 by Jim Munro and his wife, Alice, a Nobel Prize–winning author, Munro’s Books’ vast coffered ceilings and classical architecture make it the perfect spot for bookworms.